Ahead of a regulators’ meeting on February 8th 2012, and reacting to the confirmed reports of Monsanto’s illegal planting of Herbicide Tolerant (HT) maize in its GM maize trial, the Coalition for a GM-Free India demanded that Monsanto be blacklisted immediately. The violation was revealed in a response of the Genetic Engineering Appraisal Committee to an RTI application. “This agri-business corporation has been caught violating the law and norms repeatedly. The Genetic Engineering Appraisal Committee (GEAC) has also been caught failing in its duties. GEAC, in spite of violations brought to its notice earlier also, has never taken up any deterrent and penal action against this Multi National Company”, said the Coalition in a press statement issued in Delhi and a Press Conference held in Bengaluru. Monsanto’s illegal planting was known to the regulators (as the information was obtained through an RTI response from GEAC), but they chose not to look into the matter pro-actively and the regulators were in effect protecting Monsanto, alleged the Coalition. “Monsanto’s GM maize trials have been going on for several seasons now in various locations around the country. It took a rare scientist in one monitoring team to point out the fact that planting of the herbicide-tolerant GM maize took place without permission from competent authorities! What is more damning is that there is no evidence of any discussion or action by the regulators on this finding. This clearly demonstrates that the regulators are unconcerned about biosafety violations or contamination and are protecting and supporting offenders like Monsanto”, said Kavitha Kuruganti, Member, Coalition for a GM-Free India. “This appears to be a repetition of an earlier episode of herbicide tolerant cotton (Roundup Ready Flex – RRF cotton) planted by Monsanto’s affiliate, Mahyco, without permission. The GEAC, in that instance, found the clarifications submitted by Mahyco highly unsatisfactory and warned that any non-compliance in future would attract punitive actions under EPA 1986, sought a resolution adopted by the Mahyco Board of Directors expressing regret and reaffirmation that such lapses would not be repeated, and that the data generated during the BRL II trials using the unapproved GMO shall not be considered for regulatory purpose. All of these were decisions recorded in the July 2011 meeting of the GEAC”, reminded the Coalition. Monsanto has also been caught violating several biosafety norms in its GM maize cultivation plot in Bijapur in early 2011, around the same time as this Monitoring Team’s finding of illegal planting inside the University in Dharwad. The Bijapur episode, documented by Greenpeace and a Kannada TV Channel had been brought to the notice of the regulators and no investigation has been completed so far into this complaint. Egregious violations were also found during various other field trials from 2005 onwards. In the face of such impunity from these seed corporations and irresponsible inaction by the regulators, it is ironic that when civil society groups try to prevent contamination from these untested GMOs by objecting to such trials like in the case of the Bayer GM rice trial in Patancheru or DuPont GM rice trial in Doddaballapur, they are being treated as criminals! The history of GM crop regulation in India is replete with violations and illegal plantings and repeated failure on the part of the regulators in checking these or even taking serious action post facto. Therefore citizens are forced to step in to uphold biosafety. 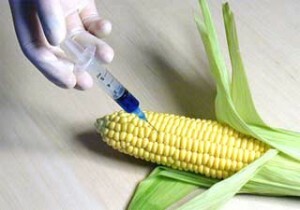 via Monsanto Caught Illegally Planting GM Corn in India | Wake Up World. GM corn, soybeans, canola, and sugar beets have made their way into approximately 80 percent of current U.S. processed grocery store items, now that up to 90 percent of several U.S. grown crops are grown with genetically engineered seed. So if you live in the United States, you have most certainly already been exposed to GM foods — most likely a lot of them. This is why Boulder’s move to phase out GM crops is such a breath of fresh air, as finally a governing body in the United States is stepping up to protect its residents from this massive, uncontrolled experiment — a move that has already taken place in other parts of the world, and in four counties in California and a city in Maine. The issue of protecting farmland from invading GMOs is a serious one, so much so that Hungary recently destroyed nearly 1,000 acres of corn crops because they were found to be mistakenly grown with GM seeds. The discovery that the farmland was planted with GM seeds came when the season was already underway, so the harvest was completely lost. What would prompt the Hungarian government to take such a drastic step? Perhaps it is the fact that GM crops simply cannot be contained, and inevitably will contaminate the environment with GM DNA. Or it could be that they do not want superweeds, triggered by the overuse of Roundup herbicide on GM Roundup Ready crops, overtaking their farmland the way they are now doing in the United States. Then again, it could be the unknown threats to human health — and the fact that new research shows toxins from GM crops are now appearing in human blood — that made them think twice. The other, and more serious issue, is the hidden one. Nearly all GM crops are designed with genes to resist a potent herbicide called Round Up or glyphosate. The newest science is showing that glyphosate is actually FAR more dangerous than people realize. It just is not widely appreciated yet, and the U.S. is spreading massive amounts of it every year. The consequences of this chemical abuse will have profoundly devastating consequences and the longer we wait to remove this toxin the worse it will be. Either way, they, and a growing number of people around the world, are clearly well educated about the dangers of GM foods … which is a lesson the U.S. government still needs to learn. via Boulder, Colorado Bans Growing of GMO Crops. Chemical giant BASF flees Europe – no bad potatoes here please! The biggest chemical company in the world, BASF, is moving to the US because Europeans don’t want its genetically engineered potatoes. Just days ago, the company announced its decision to move its main laboratory for the development of genetically engineered (GE) crops to the US. BASF said the move was a business decision based on the acknowledgment of the market failure of BASF’s flagship crop, the antibiotic-resistant potato Amflora. After the enormous political and media coverage Amflora turned out to be a commercial flop! This is very good news for Europe. But why did BASF take this decision and what does it mean for the future of GE crops in Europe? In its press release BASF stated it had decided to “halt the development and commercialisation of all [genetically modified] products that are targeted solely for cultivation in the European markets”. The short explanation for this move was for BASF to take advantage of the practically non-existent regulatory system for GE crops in the US, which would result in increased profits. But there is much more to it than that. It has been increasingly difficult for BASF to disregard the public opposition to GE crops. According to the latest official figures 70 percent of European citizens find GE crops ‘unnatural’ and 61 percent of them oppose the development of these crops. And let’s not forget that Greenpeace twice gathered one million signatures against GE crops and that several EU member states have banned the only two GE crops authorised for cultivation in Europe. BASF itself acknowledged the power of the people when it said that the opposition is not only coming from Greenpeace activists opposing the commercialisation of GE crops but also from“the majority of consumers, farmers and politicians”. This contradicts the dozens of so-called ‘industry sources’ (often disguised as independent commentators) that often portray European farmers as desperately willing to plant GE seeds on their soil. Regardless of this BASF said that the move from Europe is a natural development and that it will concentrate its work on the Americas and “the growth markets in Asia”. The growth markets in Asia? What growth markets? Could BASF be referring to the ground-breaking Indian decision to put a moratorium on the approval of the Bt Brinjal (eggplant) in 2010? Or thedecision of the government of Thailand to keep their rice GE-free? Or could BASF even be referring to the Chinese government’s declaration to suspend until further notice any commercialisation of GE-rice?! Clearly not. But the masterpiece of BASF’s media spin in their press release must be their distortion of terminology. They equate ‘biotechnology’ and ‘genetic engineering’. This is wrong. No-one in Europe, and certainly not Greenpeace, is against biotechnology. If we were we would be against producing beer. And let me say here Greenpeace is not against producing beer, nor any of the other biotechnologies that improve our lives. Greenpeace has only ever expressed very serious scientific concerns and flagged the many environmental, economic and political problems with GE crops. Greenpeace is not against ‘biotechnology’, we are against bad biotechnology like GE crops. 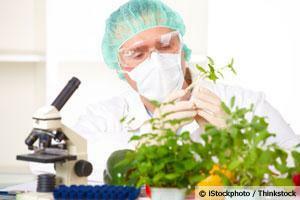 There are several other plant biotechnologies available. Marker Assisted Selection (MAS) for instance, which is also known as Smart Breeding which is more effective, cheaper and less risky than GE. Greenpeace supports Smart Breeding not only because it doesn’t pose the health and environmental risks of GE crops, but also because it is cheaper which makes it easier for public institutions to use it. So where does all this leave us? BASF’s decision sends a strong signal once and hopefully for all that there is no market for GE crops in Europe. What we want to see from now on is a substantial shift in the research and development agenda of Europe. Politicians, research institutions and private foundations must acknowledge the market failure of GE crops and start investing massively in solutions-based research, firstly in agro-ecology and secondly in advanced plant breeding using modern biotechnologies like Smart Breeding. The citizens want a GE-free Europe, the farmers want it, politicians want it and Greenpeace definitely wants it. Sorry BASF, no bad potatoes here! via Chemical giant BASF flees Europe – no bad potatoes here please! | Greenpeace International.